PSStore's New Year 2019 sale is live! Grab MALICIOUS FALLEN (PS4) for 1,500 yen! 12/21～01/8: PlayStation Store's HAPPY NEW YEAR 2019 sale is here! MALICIOUS FALLEN (PS4) is only 1,500 yen (58% off)! 12/20～12/29: PlayStation Store's PS Vita sale is live! 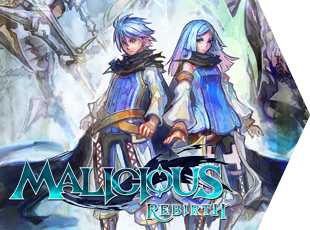 Pick up MALICIOUS REBIRTH for only 500 yen! PlayStation Store's "Under ￥3000 After Discount" sale now on! Get Malicious Fallen (PS4) for 50% off from 1/18 to 2/7! 11/9~11/26: PS Store 11th Anniversary Sale! Malicious Fallen (PS4) available for 1,980 JPY! 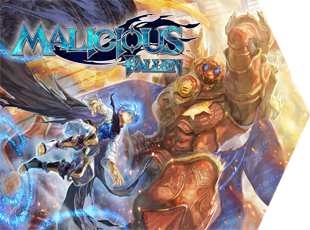 8/18 to 9/7, Malicious Fallen (PS4) discounted for a limited time to 2,400 yen! Malicious merchandise now available from SANSHEE! ©Sony Computer Entertainment Inc., ©Nintendo, ©OPEN DOOR, ©poupeegirl,Inc, ©CYBERFRONT Corporation, ©CYBERFRONT Corporation, ©Spike Co., Ltd, ©SEGA, ©PlatinumGames Inc., ©INTELLIGENT SYSTEMS, ©Synphonie Inc., ©enish Inc., ©Konami Digital Entertainment, ©Kishimoto Masashi Sukotto/Shueisha/TV Tokyo/Pierrot, ©2013 NBGI, ©NARUTO Movie Production Committee 2014, ©BANDAI NAMCO Entertainment Inc.